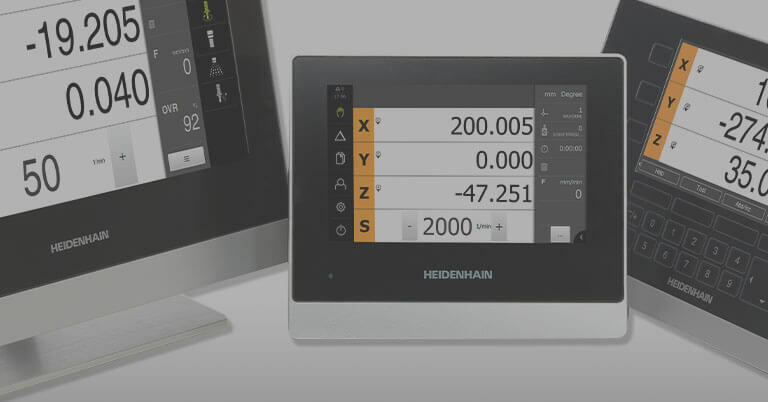 HEIDENHAIN encoders are critical components in a soon-to-be-available dedicated solution for breast cancer radiotherapy. 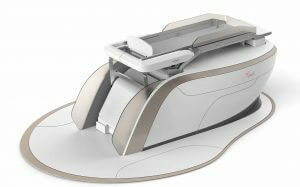 This revolutionary new medical device is called the GammaPodTM by Xcision Medical Systems, LLC. 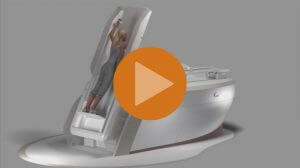 “I expect this GammaPod will change the way many breast cancers are treated and eliminated in the near future,” explained Xcision’s VP of Engineering Peter Maton (Columbia, MD). 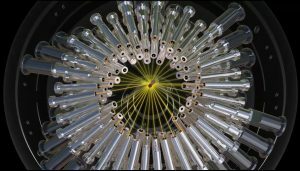 Instead of a traditional course of daily, whole breast irradiation lasting several weeks, the GammaPod is designed to provide a much shorter course, more direct and powerful radiation treatment called APBI (Accelerated Partial Breast Irradiation) on finite-area breast cancers using brand new technology. 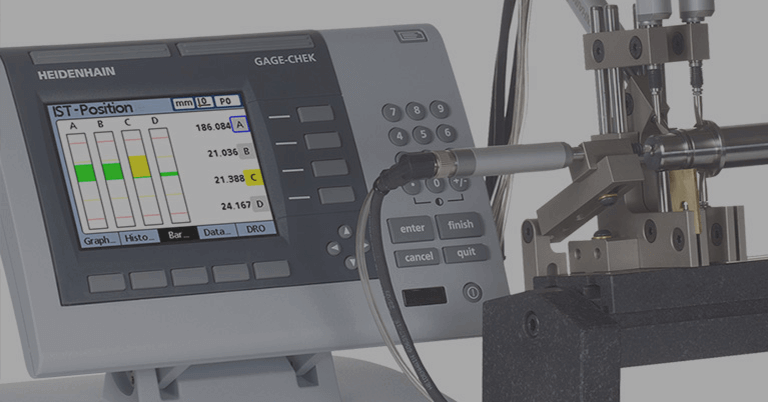 Information from Xcision explains that the accuracy of the GammaPod is paramount to the success of this new medical device, lessening the required geometric margin for error around the target volume. This is done by employing a system where the patient lies prone on a moveable couch, and a patented cup system secures the affected breast throughout the whole procedure. There are two cup layers: an inner cup that contains the breast and the outer cup with wires that provides a coordinate marker system visible on planning CT scans. A mild suction pumped between the two cup layers immobilizes the breast to provide a stable target for treatment. Pinpointed rotating radiation beams are then directed at the target from many different directions, overlapping only where a high dose is needed (called “Geometric Focusing”). This means that the dose will fall off very sharply outside the target volume, reducing dose to healthy breast tissue, to organs such as the heart and lungs, as well as to the skin. All huge patient benefits. Providing and monitoring accurate motion of the GammaPod patient couch system is required, as well as for the source rotation system. 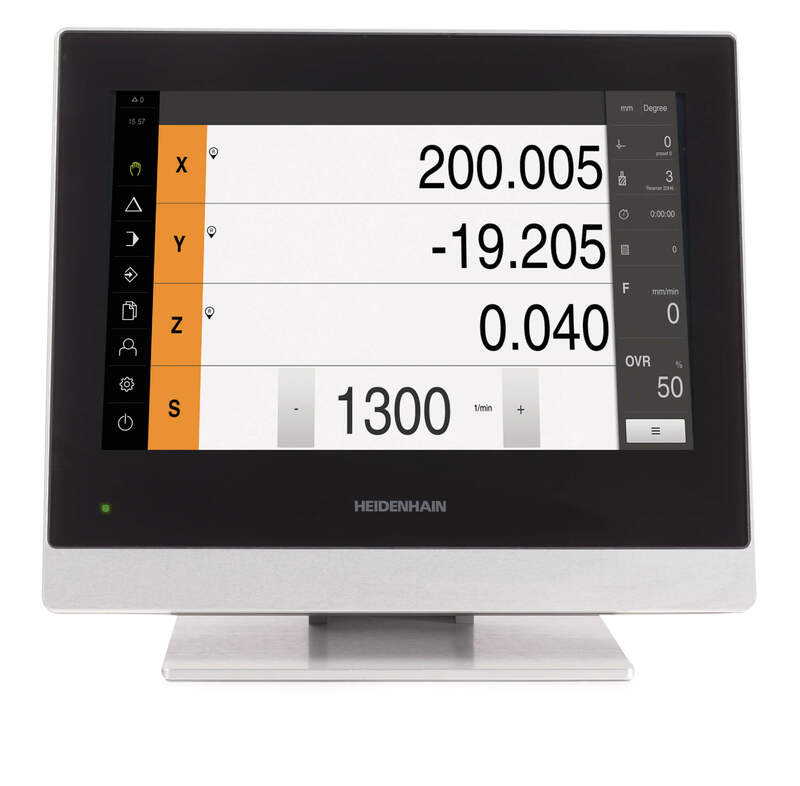 Incorporated within the GammaPod are five HEIDENHAIN absolute LIC 4000 linear encoders that serve to verify and monitor the couch position, and thus the patient position. These linear encoders are directly mounted on the two columns supporting the couch and one on the long axis. 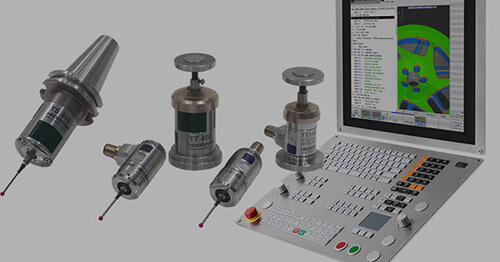 The absolute aspect provided by the linear encoders is critical because it allows for detection in case the primary system fails or becomes miss-calibrated. The frequent homing needed with incremental encoders is not required. By incorporating that secondary system to check against the required position, the GammaPod system ensures that the position of the target is correct during treatment. A rotating bowl system is used to spread and smooth the dose distribution outside the “focal spot” containing the high dose. The system uses two nested bowls (source bowl containing Cobalt-60 and a collimator bowl) such that relative rotation between the bowls provides control of the size of the focal spot. 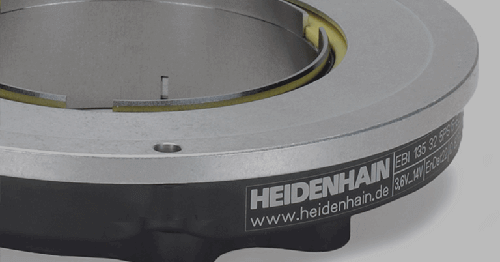 This two-bowl system has two independent drive systems, each including an absolute EQN 1023 rotary encoder from HEIDENHAIN. 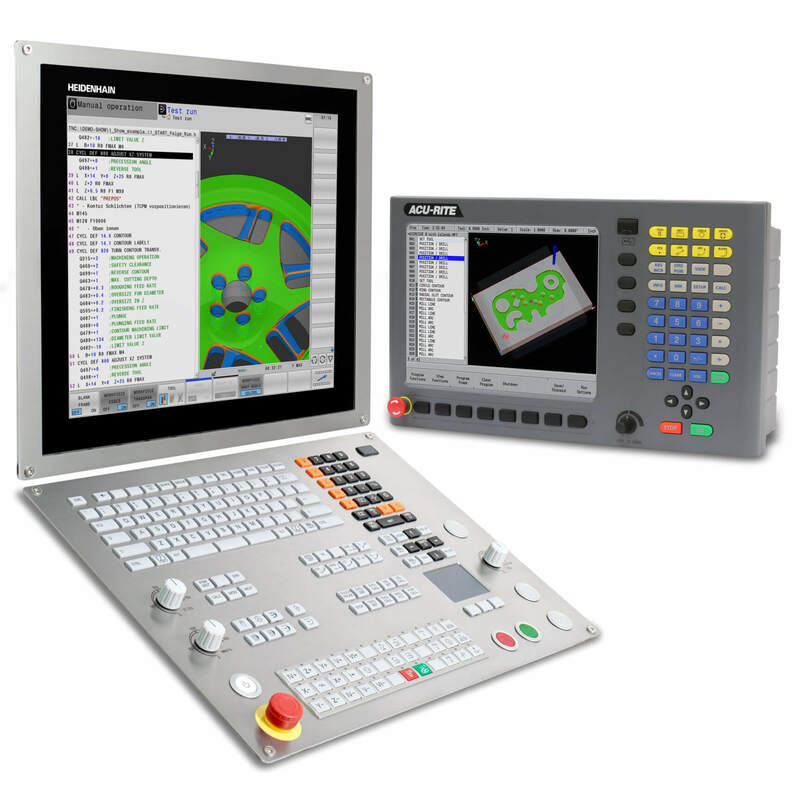 The absolute aspect of the rotary encoders here also provides a basis for detection in case the primary system fails or becomes miss-calibrated. By incorporating the secondary system to check against the required position, the relative position of the two bowl can be verified. Misalignment of the radiation source with its collimator can cause an incorrect radiation beam profile and intensity. Thus, clearly, the secondary motion monitoring system is critical. 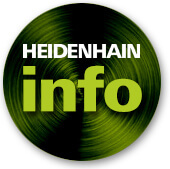 The HEIDENHAIN LIC 4000 exposed encoders are characterized by permitting absolute position measurement both over large traverse paths (up to 28 m), at high accuracy and at high traversing speed. They enable smooth movement because of their high resolution. 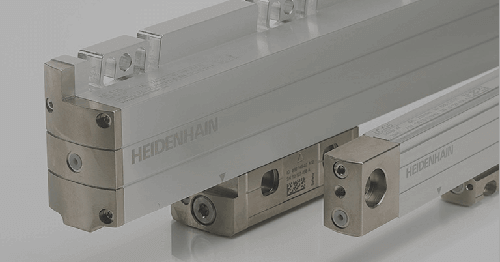 The two HEIDENHAIN EQN 1023 absolute rotary encoders are characterized by integrated bearings and mounted stator couplings. 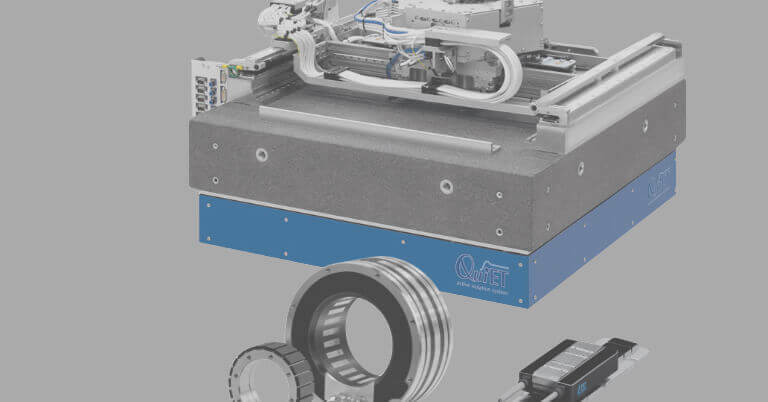 The stator coupling compensates radial runout and alignment errors without significantly reducing the accuracy, and permits axial motion of the measured shaft at ± 0.5 mm.